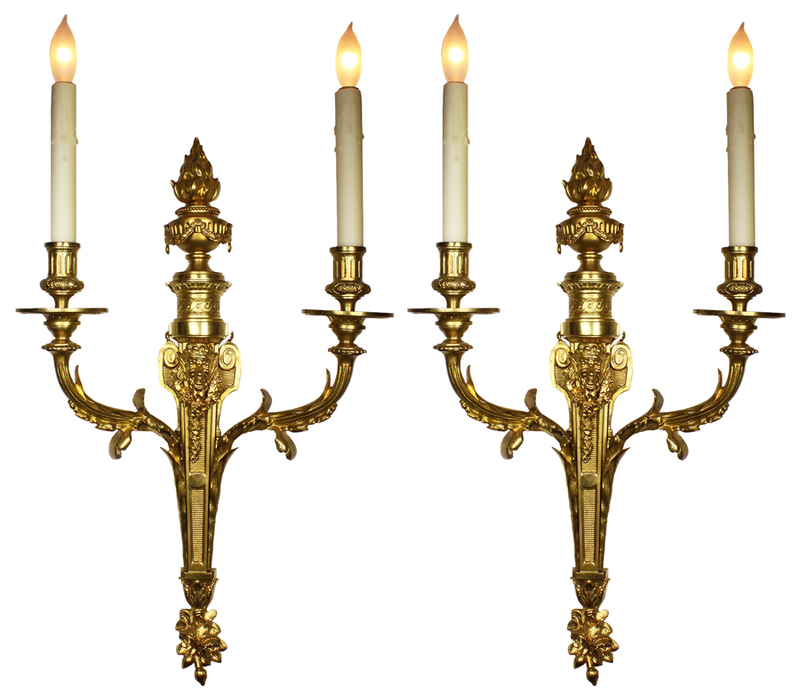 A Fine Pair of French 19th Century Louis XV Style Gilt-Bronze Two-Light Wall Light Sconces. 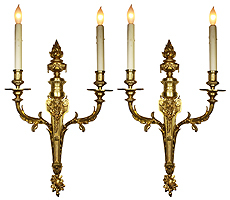 The slender tapered body surmounted with a mask figure of Bacchus above a pair of scrolled candle-arms and crowned with a Flambeaux urn with a burning flame, the bottom with a floral bouquet. Circa: Paris, 1890.